1. This UPR submission will focus on the issues facing human rights defenders (HRDs) in Sri Lanka since the new administration came to power in January 2015. While the current government cannot be held accountable for the harassment and crimes committed against HRDs under Mahinda Rajapaksa’s administration, it must carry out thorough and impartial investigations into past cases involving HRDs and ensure that they can hereafter engage in human rights work without fear of reprisals and free of all restrictions. Freedom of expression and assembly is still threatened in Tamil regions, especially in military-occupied territories affected by the civil war, impacting HRDs working on enforced disappearances, torture and land rights. Impunity is a major concern that has not been completely addressed by the current government. Some high ranking officials who were involved in gross human rights violations still hold positions of power, and the Sirisena administration shows no real intention to hold security forces responsible for the crimes they committed against HRDs and journalists during the civil war and the Rajapaksa years. Press freedom remains fragile, as journalists still face difficulties covering certain topics and are subject to harassment and intimidation. The revival of the Press Council, widely employed under Rajapaksa to target independent voices, has also alarmed HRDs. Some groups of HRDs face particular risk. HRDs and journalists working on issues such as human rights violations committed by security and intelligence personnel or local corruption are a target of continued harassment, psychological threats and surveillance. Sri Lanka’s legal framework includes laws that have been, and can still be, used against HRDs and might further restrict their freedom of expression and protest. 4. Investigations into past crimes against HRDs were initiated. Authorities renewed investigations into key cases of enforced disappearance, detaining a dozen suspects in the 2010 disappearance of journalist and cartoonist Prageeth Ekneligoda, though they were all released after nearly a year without being indicted. On 19 February 2017, five military intelligence officers were arrested in connection with the 2009 murder of Lasantha Wickramatunga, the editor-in-chief of the weekly Sunday Leader and a fierce critic of former president Mahinda Rajapaksa. 5. The level of verbal and physical attacks on HRDs dramatically lessened in 2015 and 2016, although isolated incidents were reported by local monitoring groups. A number of HRDs and journalists were able to return to the country having been forced to flee during the previous administration. 6. The new government took several steps to abolish surveillance and censorship of media and civil society groups. There also was a notable reduction in hostile government rhetoric toward the media. The authorities lifted restrictions on the media and the level of Internet censorship was also reduced, which allowed for greater access to viewpoints. The Tamil media – long a target of the authorities, including after the official end of the civil war in 2009 – have seen a decline in harassment. 7. There have been some positive developments on international cooperation such as the government’s decision to ratify the Convention against Enforced Disappearances and the Convention on the Rights of Persons with Disabilities in May 2016, the extension of standing invitations to Special Procedures and the visit of a number of Special Procedures and strengthening the national human rights institutions. In contrast to the combative approach of the Rajapaksa government, the new government initiated a new, more open dialogue with the international community, including human rights organisations. 8. In 2015, the Sirisena government committed to repeal and reform the draconian Prevention of Terrorism Act (PTA), which allows the detention of persons for long periods in violation of international law and was widely used against HRDs, journalists and members of civil society during the Rajapaksa years. Cases against several HRDs have not yet been dropped, and HRDs who were PTA detainees under the previous government continue to be subjected to investigations, restrictions and harassments under this law. 9. In August 2016, the government proposed a legislative bill seeking to amend the Code of Criminal Procedure (CCP) Act. The amendments would have deprived suspects access to lawyers until their statements were recorded - a violation of a suspect’s fundamental rights. Following calls from civil society, the amendments were dropped. However, new amendments to the CCP published in March 2017 place restrictions on suspects’ rights to have access to lawyers by stating that lawyers will be allowed to have access to the detainee “unless such access is prejudicial to the investigation being conducted” (section 6.A (6) of the Bill). 10. In 2016, the Sri Lankan government started drafting the Counter Terrorism Act (CTA) to replace the PTA. According to HRDs in the field who accessed a leaked version of the draft, it still contains many draconian clauses, with vague and broad definitions that could infringe on free expression and activism and grant excessive powers to the police to detain people for long periods without judicial supervision. Early examination of the draft CTA also suggests a massive and alarming expansion of grounds for arrest, with “terrorism” now incorporating the act of “illegally or unlawfully compelling the Sri Lankan Government to reverse, vary or change a policy decision”. According to the Sri Lanka Campaign for Peace and Justice, further ambiguity around prohibitions on “words either spoken or intended to be read [that may cause] harm to the unity, territorial integrity or sovereignty of Sri Lanka” indicate a chilling new step towards the policing of protest and advocacy. 11. During its previous UPR in October 2012, Sri Lanka received two recommendations concerning the adoption of a national policy on the protection of HRDs and journalists, both rejected by the Rajapaksa administration along with other recommendations on the prevention of harassment and intimidation of HRDs. Two years after Maithripala Sirisena and his party won the elections, and despite several human rights organisations’ calls for national policies protecting HRDs to be enacted, such a mechanism has yet to be implemented. 12. Since the new administration came to power, there is more space for freedom of expression and assembly. However, the pace of improvement has been unequal throughout Sri Lanka. Although demonstrations occur regularly, authorities sometimes restrict freedom of assembly in the Northern and the Eastern Provinces of the country, considered the Tamil homeland. These areas continue to be occupied by the military 8 years after the end of the civil war between the insurgent group Liberation Tigers of Tamil Eelam (LTTE) and the Sri Lankan army, contrary to promises made in Geneva that the government would dismantle these High Security Zones, close army cantonments and return lands seized from the people. Police occasionally use excessive force to disperse protesters, and the army has imposed some restrictions on assembly in the North and East, particularly for planned memorial events concerning the end of the war, which impact HRDs working on violations perpetrated in the region both during and after the civil war. 13. In June 2015, villagers protesting against the construction of a Buddhist Temple by the military in the Mullaitivu district, in the North of the country, were arrested and detained for several hours. Surveillance and intimidation related to freedom of assembly were also reported from Batticaloa and the East. Organizers, participants and supporters of protests against sexual violence against women and children were subjected to intimidation before, during and after the protests. 14. Despite the positive steps taken by the Sirisena government to reopen investigations into past crimes committed against HRDs, no significant measures have been taken to end impunity for security force abuse, including police use of torture, or for crimes against HRDs and journalists. According to Free Media Movement, a Sri Lankan media freedom watchdog organisation, the government and the President persist in protecting members of the army, while investigations into crimes against journalists committed by security forces under the Rajapaksa era are at a stalemate. In a speech delivered at the Palali Air Force Base on 4 March 2017, President Sirisena pledged to protect the members of the Army, Navy, Air force and the police, with reference to allegations made against the security forces, which the President claimed were fabricated by NGOs. Such declarations have sparked concern among HRDs fighting impunity in Sri Lanka, notably within the Black January demonstrations1. 15. Sri Lanka’s current national intelligence chief, Sisira Mendis, has benefited from this impunity. Under Mahinda Rajapaksa, he was Deputy Inspector General and oversaw two police units, the Criminal Investigation Department (CID) and the Terrorism Investigation Division (TID) during the final phase of the Sri Lankan civil war from March 2008 until June 2009. A UN investigation accused both units of torture and sexual violence during the period that Mendis was in charge. He is accused of serious crimes against journalists and HRDs. The award-winning journalist J. S. Tissainayagam, the writer and publisher V. Jasikaran and his wife V. Valarmathy, and the journalist K. Wijesinghe are among the prominent media figures who experienced cruel treatment at the hands of the TID for reporting on human rights violations perpetuated during the conflict between the LTTE and the government. Notwithstanding the above, Sisira Mendis was appointed Chief of State Intelligence Service by the new government of Sirisena, and was even on the Sri Lankan delegation meeting with the United Nations Committee against Torture (UNCAT) in Geneva in November 2016. 16. While press freedom in Sri Lanka has significantly improved since 2015, with the country gaining 24 ranks in Reporters Without Borders’ 2016 World Press Freedom Index (from 165th to 141st out of 180 countries), harassment and intimidation of journalists continue to take place. 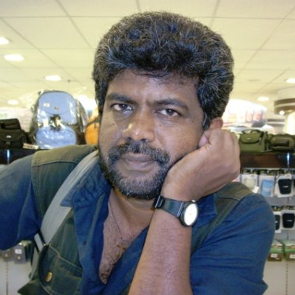 On 8 April 2015, police in Jaffna, the capital city of the Northern Province, arrested N. Logathayalan, a freelance journalist working for the Tamil-language newspaper Uthayan because of an article implicating Jaffna-based officers in a case of police violence on a school girl. In June 2015, journalists invited for a meeting in Jaffna to discuss resettlement were ejected from the meeting venue. 17. The revival of the Press Council in July 2015, even under the new regime, has also alarmed HRDs in Sri Lanka, since this allows for suppression of media freedoms. The council allowed the authorities to impose severe sanctions, including imprisonment, on journalists writing on issues they deem too sensitive. Created in 1973, the Press Council was widely employed during Mahinda Rajapaksa’s presidency to target independent voices who criticized his authoritarian stance. 18. Allegations of continued harassment, psychological threats and surveillance of HRDs by security and intelligence personnel persist, in particular against HRDs working on issues such as enforced disappearances, torture and excessive use of force and those active in the Northern and Eastern provinces advocating against land grabs by the military. In recent years, some NGOs have faced difficulty operating in these areas. 19. Woman human rights defender (WHRD) Balendran Jeyakumari is the target of such harassment, which started under the Rajapaksa administration but has continued since the political transition. Since the enforced disappearance of her son after he surrendered to the Sri Lankan army in 2009, she has led campaigns calling for the whereabouts of missing persons in Sri Lanka to be made known and investigations into war crimes to be carried out. Between 2014 and 2015, she was detained under the Prevention of Terrorism Act pending an investigation into charges of harbouring an armed man, whom the authorities claim had shot and injured a member of the police. She was conditionally released on 10 March 2015 after over a year of pre-trial detention, but since then has been continually targeted with judicial harassment. 20. Although the overseas travel ban imposed on HRD Ruki Fernando in November 2014 was lifted in June 2015, the Terrorist Investigation Department (TID) and Attorney General’s department have refused to close the investigation on him, to remove the gag order limiting his contacts with the media and to return the electronic equipment they confiscated from him. He is under investigation because he visited the Killinochi region (Northern province) to gather information on the detention of the above-named HRD Balendran Jayakumari. On 1 October 2016, he was briefly detained and questioned at Bandaranaike International Airport. On 9 March 2017, the Sri Lankan Air Force questioned Ruki Fernando during a visit to Pilakudiyirippu, in the North-East, where people have been protesting land grabs from the military. 21. In 2016, WHRD Sandhya Eknaligoda, who has worked to expose the practice of disappearances since her husband - journalist and cartoonist Prageeth Eknaligoda - went missing in 2010, faced repeated threats and acts of intimidation. These included protests outside the court where her husband's habeas corpus case was being heard, and a poster campaign that accused her of supporting the LTTE after the police identified seven army intelligence officers suspected of involvement in his disappearance. 22. HRDs and journalists investigating corruption continue to face threats and even physical attacks. 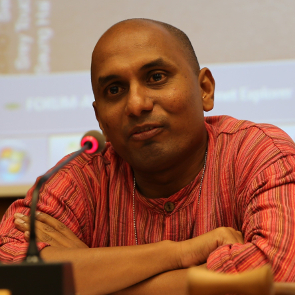 On 2 June 2016, human rights journalist Freddy Gamage was attacked after attending a meeting of the Negombo Municipal Council10. On the way to his car, he was beaten by two unidentified persons on motorbikes and sustained serious injuries to his head. As an editor for the regional news publication Meepuraa and Chairman of the Professional Web Journalists Association - which inter alia, is involved in the promotion of human rights in Sri Lanka - Freddy Gamage was investigating corruption in the Negombo Municipal Council, and he had received a threat two weeks earlier from Dayan Lanza, the Deputy Mayor of Negombo who promised to punish the journalist if he continued writing negatively about him and his family. Freddy Gamage had previously accused the Lanza family of being involved in corruption and having connections with drug criminals from Negombo. 23. HRDs from religious minorities in Sri Lanka could be further endangered by rising ethnic tensions between the Buddhist majority (70% of the population) and Hindus, Muslims and Christians. Since 2016, human rights groups report an increasing use of hate speech against minorities by some members of the Buddhist clergy and by other protest groups, and widespread anti-minority hate speech in social media. HRDs belonging to religious minorities are more likely to be targeted. Ensure full respect of the International Covenant on Civil and Political Rights and the UN Declaration on Human Rights Defenders, including in particular the right to freedom of expression, association and assembly. 1 Black January protests have been organised by media rights organisations in Sri Lanka since 2012 to draw attention to the killing and disappearance of journalists and media personnel and to demand justice for them.